Emily Conde is your DogSmith of Greater Orlando where she combines a love for animals with her educational experience to provide the finest pet care possible. As a mother and teacher, she knows what it means to create an environment where all parties feel listened to, cared for and respected. As a DogSmith, she uses this awareness to enhance her clients’ training and pet care experience. Along with her husband and two teenage boys, Emily shares her Clermont home with two rescue dogs: Levi, a big, goofy hound mix, and Josie, an ever-so-clever Border collie. In 2017, Emily’s husband William joined her full-time in their pet sitting adventures. Having grown up in a household filled with furry and feathery friends, William truly has a special way with the pets he cares for, including many a squirrel, bird, rabbit and turtle he has rescued along the way. Both Emily and William were first drawn to the relationship between humans and dogs after rescuing a neighborhood stray. At nearly 80 lbs., this unbridled golden retriever destroyed everything in the family’s home forcing the couple to question if this new girl was too much to handle. Fortunately, they accepted the challenge and, with some patience and guidance, watched Gracie transform from a rampant tornado of energy into a calm caretaker of others. Gracie became an older “sibling” to both of their sons and a teacher to rambunctious rescue puppy Josie that followed in her footsteps. Although the U.S. Department of Labor tells us, ‘Most animal care workers learn their trade through on-the-job training, with no formal education in pet care or academic study,’ the DogSmith is the clear exception. Emily is a Certified Dog Trainer, Pet Care Technician and a Pet First Aid Responder having earned these accreditations through a rigorous course of academic study and practical, hands-on experience. She is also a presenter for Doggone Safe’s “Be a Tree” dog bite prevention program, where she teaches school-aged children to safely interact with dogs. After completing her Pet Care Technician certification, Emily continued with her Pet Dog Training Certification. While dog training is not a regulated industry, as a teacher she knew furthering her education was the only credible path to achieving this goal. 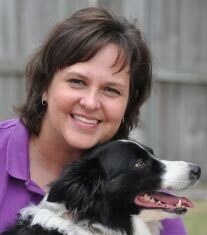 Having completed an in-depth, comprehensive training program based on the learning principles of applied behavior analysis, Emily is proud to call herself a force-free trainer committed to training techniques that combine the proven, science-based methods of positive reinforcement with the idea learning should be rewarding for both owner and pet. Using the same teaching strategies she employs with her high school students, Emily focuses on setting pets and their guardians up for success. She believes the key to a healthy, happy pet family involves patience and consistency, management of the home environment, building relationships, and assembling a personalized training toolbox. Emily and William have combined 15 years in education with 20 years in management to create a positive client experience. Her student-centered approach to teaching and collaborative relationships with parents and peers have established Emily as a respected advisor in the workplace where she is known for her patience and commitment. William’s strengths in customer service, exceeding company goals, maintaining a high level of operational standards, and team building success has earned him repeated acknowledgment as a leader by his employers. Together their commitment to quality with a personal touch establishes the foundation of care provided by The DogSmith of Greater Orlando.